Click HERE to view our auction items. 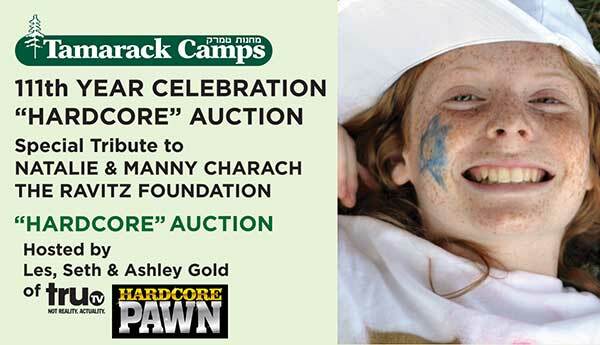 All proceeds benefit Tamarack’s Send a Kid to Tamarack Scholarship Fund, which ensures that no child is denied a Jewish camping experience. Tamarack allocates more than $1 million every summer, more than any camp in the world, to serve the almost 50% of our campers in need of financial aid. We would not be able to do this without your generosity. You are investing in our community. Donate today. If you are a first-time donor, any gift of $36 or more will be matched through our Tamarack180 campaign.